Journey along in seven stories with those who helped build and maintain the new American canal system that brought migration, the harvesting of resources, and even tourism to the Midwest. Can seven couples hang onto their faith and develop love during times of intense change? 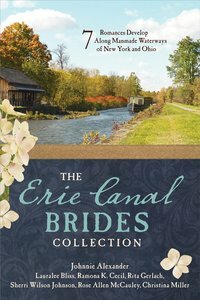 About "The Erie Canal Brides Collection (7 In 1 Fiction Series)"
Lauralee Bliss resides with her family in Virginia. Unavailable. We are unsure when this item will be available to ship. Other edition is available. 9781683224945 0 Available.